Microsoft (MSFT) announced Thursday in a memo from CEO Satya Nadella that it will cut a total of 18,000 jobs in the next year. The action is more than triple the company's 2009 elimination of 5,800 positions. Last year's acquisition of Nokia's handset business brought the number of employees up from 99,000 to 127,000. Microsoft will incur charges of between $1.1 billion and $1.6 billion over the next four quarters, including between $750 million and $800 million for severance and related benefits costs. Investors have already begun to show approval. The stock opened with gains of close to 3 percent and hit a 52-week high of $45.70. Many of the layoffs come as a consequence of the Nokia deal. According to the memo, 12,500 of the jobs "comprising both professional and factory workers" are the result of "work toward synergies and strategic alignment." Large corporate acquisitions typically include elimination of duplicate capabilities and positions as part of the financial rationale for the deal. Although the factory workers are likely former Nokia employees, it is unclear how many of the professional positions will come from the Nokia ranks or from Microsoft itself. That also leaves 5,500 positions to be eliminated, presumably existing Microsoft employees. So even without the Nokia duplication considerations, the company will shed almost as many as it did in 2009. Microsoft continues to be the largest software company in the world, but it has been hard hit by changes in computing. A move to mobile and cloud computing has loosened its grip on the industry and made it vulnerable to such competitors as Google (GOOG) and Apple (AAPL). On Tuesday came word that Apple would partner with IBM (IBM) to push mobile computing even more into large corporate customers, a cornerstone of Microsoft's business. Nadella wrote that the job eliminations are part of a plan to "drive greater accountability, become more agile and move faster." Some aspects include modernizing engineering processes and also eliminating layers of management, flattening organizations "to accelerate the flow of information and decision making." 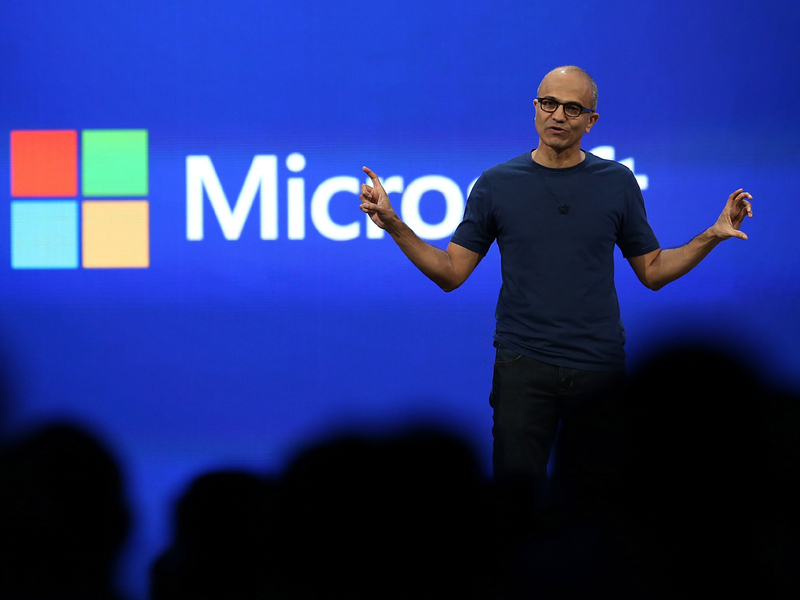 Microsoft also wants to make its processes and structure "more lean and efficient." Also, in the memo, Nadella said that the Nokia X line of products, which run Google's Android operating system, will be changed to work with the company's own Windows Phone software. Calling the decisions "difficult, but necessary," Nadella invited employees to a monthly Q&A event on Friday.